If you have recently inherited, it is perfectly possible that you are concerned about your investment prospects. This is particularly likely if you have inherited a house; as property prices have collapsed, the value of your inheritance is likely to have plummeted. However, although the middle of a recession may seem like a terrible time to be investing, the poor state of the economy can provide some unique opportunities for those who have recently inherited. If you have inherited property, the first thing to note is that it is currently very much a buyer’s market. Homeowners are having immense difficulty selling houses, and many are being forced to slash their asking prices by 25 per cent. If you do not immediately need to sell the property, you may therefore consider holding off until the market recovers. When lending resumes and the economy starts to improve, there is likely to be a big rush to buy. Those who have been holding off because of an inability to get a mortgage will be piling into the market when loans become more readily available again. This will push up property prices, putting you in a much better position. You should remember, however, that it can be costly to maintain an empty property. After a year left vacant, for example, you are likely to have to spend a considerable sum to make the property sellable again. As such, you may consider letting the property while the market is still unfavourable. Lettings are holding up, as many prospective homeowners are being forced to rent because they cannot get a mortgage. If you have inherited cash, your prospects for investment are good. Although the stock market may have already bottomed out, placing some money in a market tracker may be a good idea. While you should be prepared for some volatility in the short term, you should remember that the market will almost certainly rise over the course of the next couple of years. You could quite conceivably see a 30 per cent gain in a relatively short space of time, particularly if government initiatives like the banks’ Asset Protection Scheme begin to show signs of success. Given recent performance, however, many people have lost faith in stocks and shares as an investment, and you may therefore be reticent to put invest your money in this way. As such, you may wish to investigate alternative investments. Depending on the amount you have inherited, ISAs may well provide a good option. Falling base rates have taken a chunk out of the income that can be derived from ISAs, but there are still deals to be found that offer in excess of 4 per cent. Furthermore, ISAs are secure investments; if you are more concerned with holding onto your money in a low-risk environment until you are able to make it work harder for you, ISAs or National Savings and Investments are probably a good option. 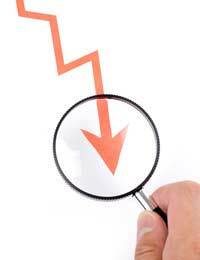 Investing during a recession is a potentially difficult task. As such, you may wish to seek advice from a reputable financial advisor, with a demonstrable track record, before making any decision.